We are starting on Wednesday the 9th of January until 5th of April 2019. Half term is on Monday the 18th of February until Sunday the 24th of February 2019. The differing days and times are detailed below. All lessons are 30mins. Different classes and varying levels run at different times and in different lanes. Private lessons are also available at other times on request. Please contact Vicky if you think this option may suit you better. 1. Telephone or e-mail the AMES UK Swim School office. All AMES UK teachers are qualified through the Swim England (previously known as ASA) and some of them hold additional lifeguarding qualifications. Vicky Panagiotidou was the Greek National Breaststroke Champion between 1993 and 1996. She is also a qualified Sport Psychologist holding a BSc(Hons) and an MSc in this field. Our aim is for your child to enjoy being in the water, to gain confidence, to learn good stroke technique and to build up their stamina. We insist on discipline and respect for not only the staff but all other swimming members as well. You will need to pay for your child’s place in full to guarantee his/her place. If you turn up to lessons during the first week, without having booked or paid, you may find that there are no spaces available. Due to increasing demand for classes, confirmations and payments should be received ASAP. The cost per term will depend on the number of weeks and lessons it includes. Please contact Vicky for more details. A first comes first serve basis is applied, so the earlier your confirmation and payment is received the better. FULL PAYMENT must be made to AMES UK SPORT CLUB – please let Vicky know if you would prefer to make a bank transfer. Instalments will be considered to exceptional circumstances and to families with more than 3 children. If you want to send us a cheque, the address is: 278 Frome Road, Trowbridge, BA14 0DT. Please write your name or your child’s name in full (and class) on the back of the cheque. Please be aware that cheque payments may not be processed until the course starts. 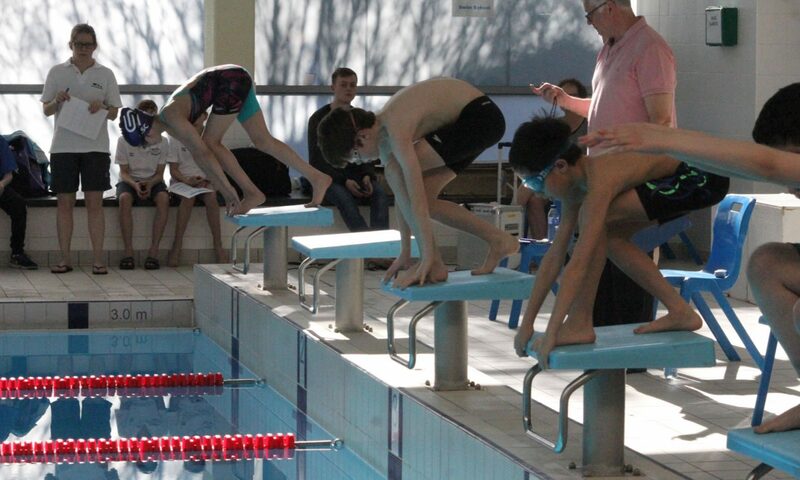 Pupils currently in the swimming programme will have priority on re-booking for subsequent courses. In the interests of Health & Safety parents are NOT permitted onto the pool side, except where specific sessions require the attendance of a parent/guardian. In the event or circumstances beyond our control lessons may be rescheduled or cancelled without prior notice. Refunds or extra lessons will not be given for non-attendance due to holidays, sickness etc. Where considered necessary the Club reserves the right to change the course details, i.e. day, time, course, instructors etc. without prior notice. Claims for refunds will not normally be considered. However, certain requests may have merit and the Proprietor will deal with these matters. Approx. 5 minutes per lesson will be allocated to the administration of registration and record of achievement for pupils. All places booked on the swim course must be paid for in advance and, therefore, bookings cannot be taken without prior payment. All information entered on this form will be kept strictly confidential. For health and safety reasons, please make sure that your child hasn’t eaten anything for at least 2 hours prior of his/her lesson We need to respect the other clubs using the pool. If your child accidently vomits inside the water, you will be liable for any payment requested by the Whitgift health club. All photographs taken on film or digital camera including mobile phones) and all sorts of moving pictures including video recordings (and video streaming) is prohibited in order to avoid potential sources of child abuse. Swimmers need to arrive punctually. Late attendance may result in refusal of the lesson. AMES UK Swim School staff has been checked by the Criminal Records Bureau in order to determine their suitability for working with children. The swim school follows all the procedures and guidelines produced by the Swim England regarding the Child Protection Act. AMES UK Swim School requires all parents to accompany their children to and from the poolside. No filming and/or photographic equipment is allowed on the premises without prior permission. Children, parents and staff should show respect to all. No verbal abuse will be tolerated. All lessons must be paid for in full in advance. The Swim School does not take responsibility for any stolen and/or lost items.